On Wednesday, April 1, the Technique Junkie Design Team is hosting a Blog Hop, except for me. I have been pretty ill and am unable to participate. 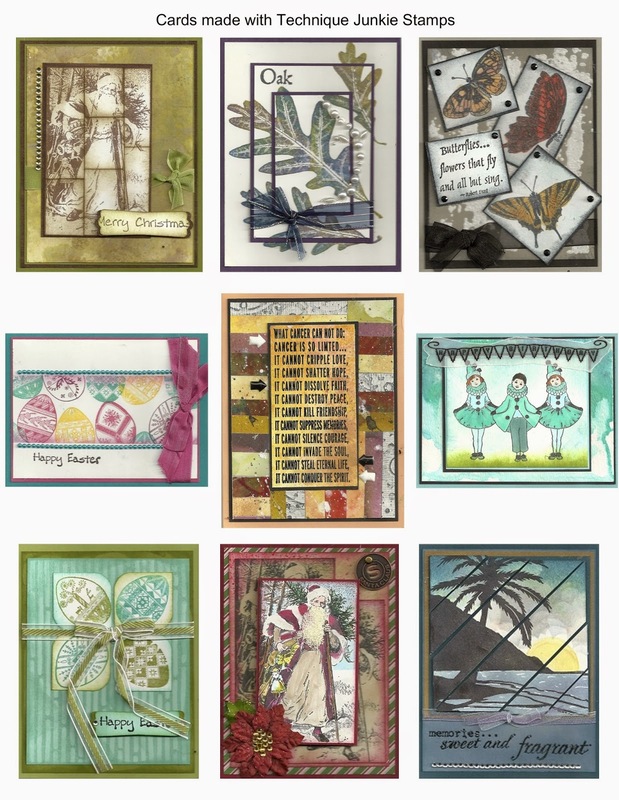 But --- I do have some cards with some relatively new stamps to share with you today. I created these a few months ago and saved the scans to my computer for such as this. Pat has these cards on display at her booth for stamps shows -- I think. 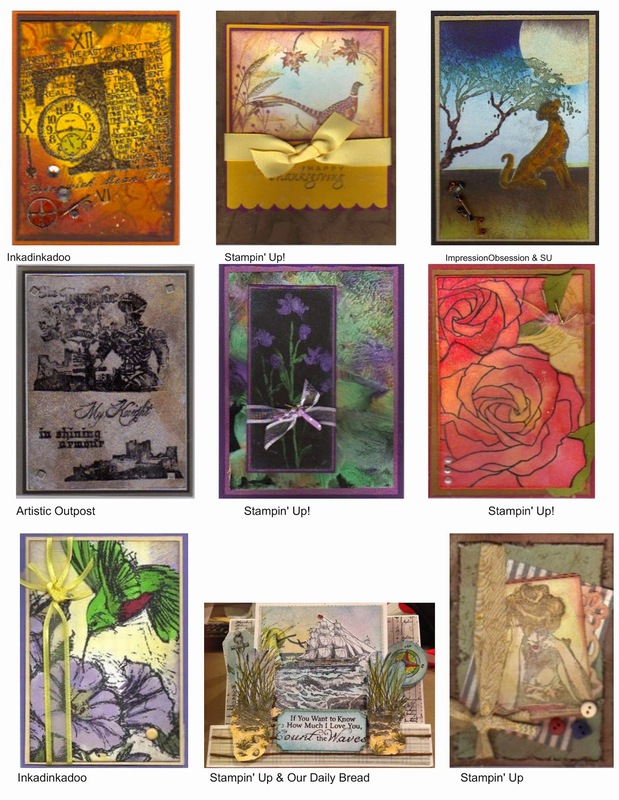 Not only is there a Blog Hop on Wednesday, but Pat is unveiling the new and improved website for the Technique Junkie stamps. Therefore, I am not going to give the web links for these stamps -- because it may be different than it is now. I will give you the names of the stamp and the product ID number so you can more easily find these stamps on the website --tomorrow. It seems like a long time to wait for me because I have known about the upcoming website change for a few weeks. I knew from when she acquired this stamp line she would eventually change the website just because the original website was not hers. Any time a business changes hands, their website will also often change to reflect the new owner's passion and change. So I am very excited about these changes. 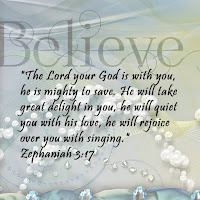 And I will be anxiously looking at the new website on Wednesday and the blog hop as well. This is the first time I have ever not participated in a Blog Hop for Technique Junkies so I am really feeling like I am missing something. Here are my 3 cards -- different takes using the same stamps. I think it is both fun and challenging to see how many different ways you can take one main stamp and create totally different looks. Have you ever challenged yourself in that way? Aren't these just fun stamps? How many different ways will you think of to use these stamps? Please join me on Wednesday and hop along the Blog Hop trail beginning right here on the Design Team blog. 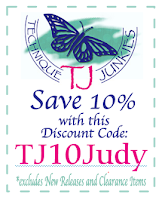 There is also a whole Design Team for the Technique Junkie stamp line. Some names will be familiar and some will be new. I am very excited to see what the new Design Team members will show us. I hope you will hop along with me! Please leave some loving comments on the blogs of the Design Team -- they will surely appreciate it! One of my favorites all time technique from the Technique Junkie newsletter is Antiqued Glimmers from the December 2009 edition. It just creates a most wonderful background and is so versatile. And you never knows exactly how it is going to turn out. And that is part of the fun! Don't these trees look just like a tree in full bloom? 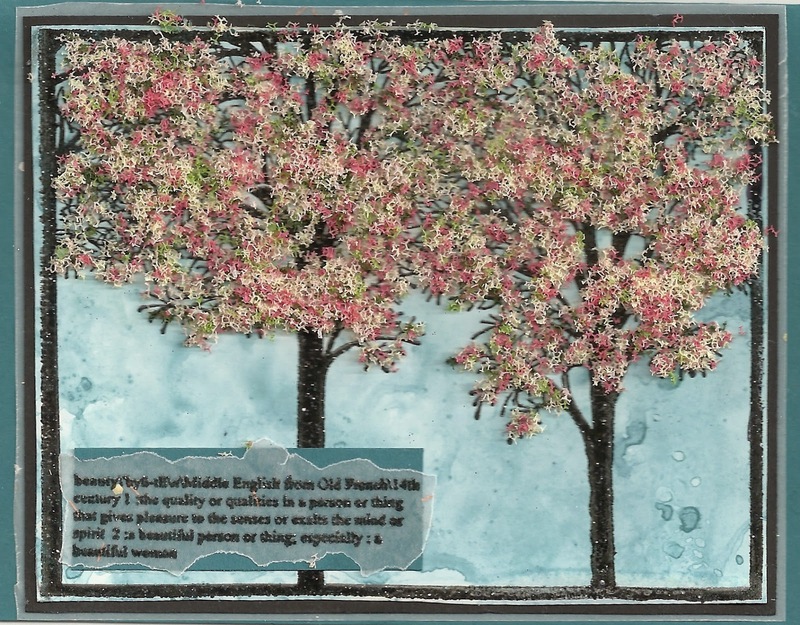 The trees and the verse are stamped in pigment ink and then heat embossed with clear embossing powder. 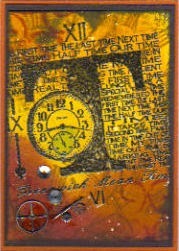 All of the stamps for this card are from the Technique Junkie stamp line. 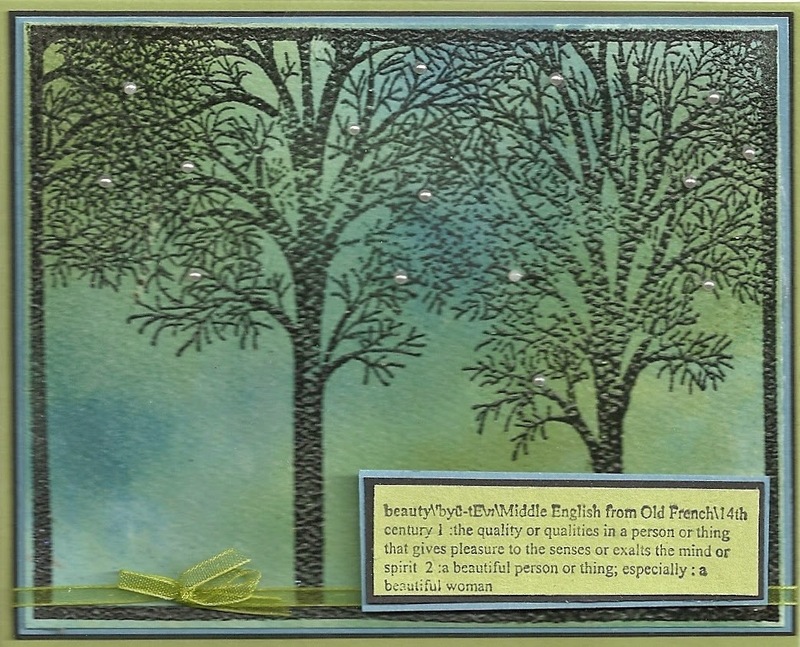 This card uses the Water Color Reinkers technique from the February 2012 edition of the Technique Junkie newsletter. This card uses the exact same stamps, including the verse, as the first card. But you get a very different result. It is one of the things I love about stamping and using a variety of techniques! Have a very inky day! This is a new adventure for me. I have often thought about blogging -- but haven't done it. My friend, Pat Huntoon, has often urged me to have my own blog. There are reasons why I didn't want to do this -- and who did I think would read my blog? This will be an adventure and I will see what will happen. I have posted many times on the Design Junkie Design Team blog (see the side bar for the link). It almost seemed like it was my own blog. Here are only a few of my favorite cards that I have created over the years. I hope you will enjoy the cards I post on this blog. Comments are nice and very appreciated.